A few weekends ago we were at family's house for a birthday party. In my bag I found a bag of coffee. 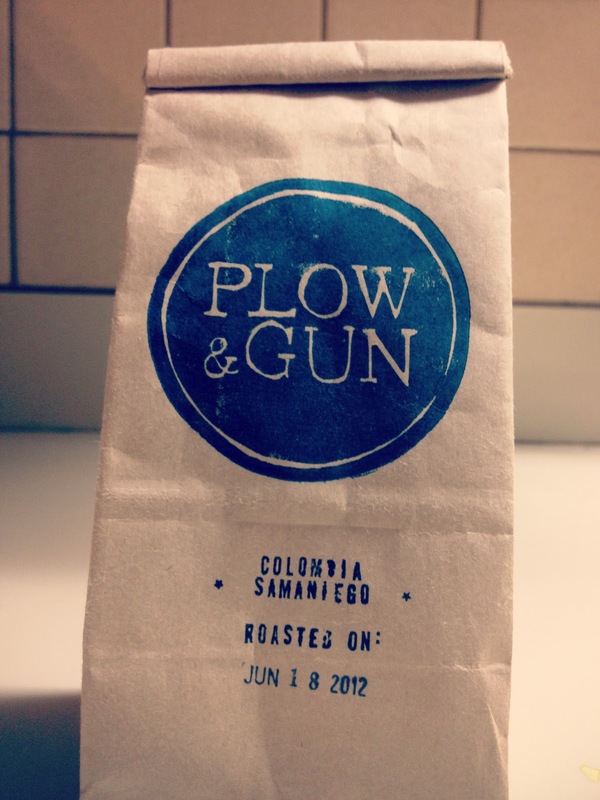 My cousin Naomi had given me a bag of the Columbia Samaniego from a new coffee company called Plow and Gun. Like all coffee bags I grabbed it and took a big whiff. Ohh it was heaven. Naomi told me that Plow and Gun is a new coffee company. 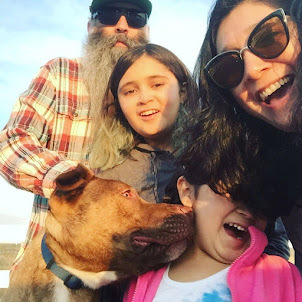 A company that her boyfriend Ian started. Both Naomi and Ian work for a very fancy coffee place so they both really KNOW coffee. The next morning I couldn't wait to bust out the french press. The first thing I noticed was the coffee had a slight red tint to it. I don't know what that means, but that's what I noticed. Then the first sip was amazing! Strong and oh so very smooth. No bitterness what so ever. Just a really great cup of coffee. If you happen to be at the Altadena Farmer's Market stop by the Plow and Gun stand. Say hi to Ian for us and stock up on some really great coffee.